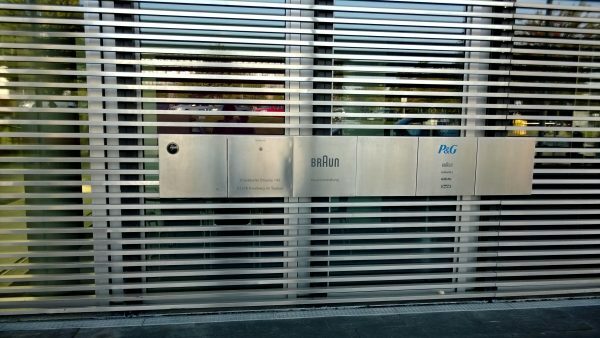 Braun are one of the premium producers of electric shavers right now, and recently I was lucky enough to get a chance to visit their Research and Development facilities in Kronberg, Germany. What followed was a nerdgasmic (sic) few hours of finding out just how much work and effort goes into that ordinary shaver you may use every morning. 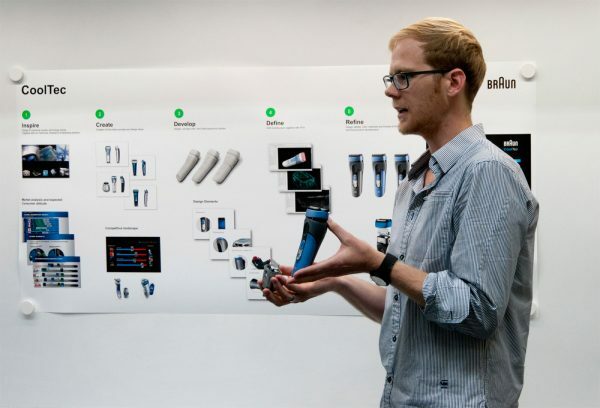 For Braun, an electric shaver isn’t just about how close they can get a blade to your skin, and how well it can cut those offending bits of hair off. It goes a lot further than that. 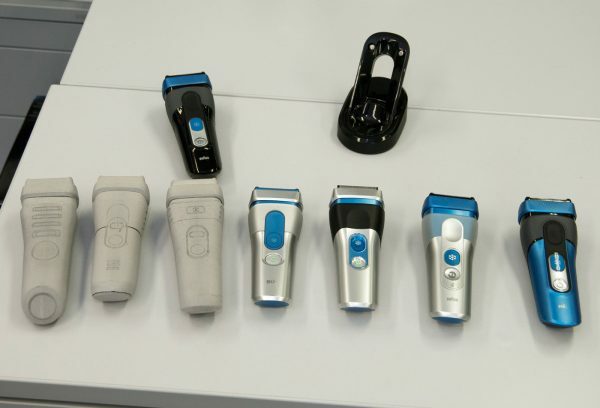 The amount of testing and research they put into each shaver, the thought process, and the delicate care, no wonder the company is still growing tremendously despite being 90 years old! Our trip started with us being shown around the Braun manufacturing plant. This is where you see all the magic happen. While the whole trip was quite interesting for me as an engineer, the way Braun have regulated their manufacturing process was quite impressive as well as inspiring. 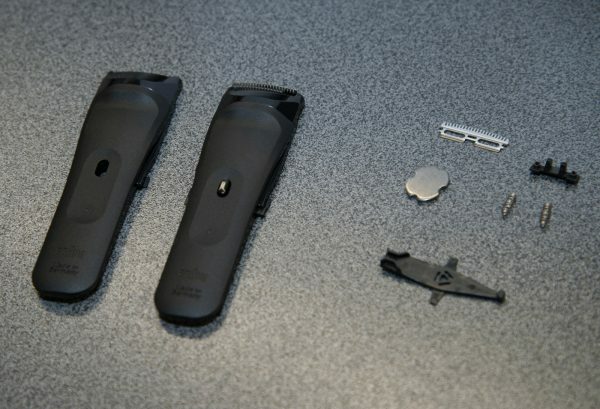 At the heart of each electric shaver are the cutting blades, and the plant showed us that Braun do not take these blades lightly. 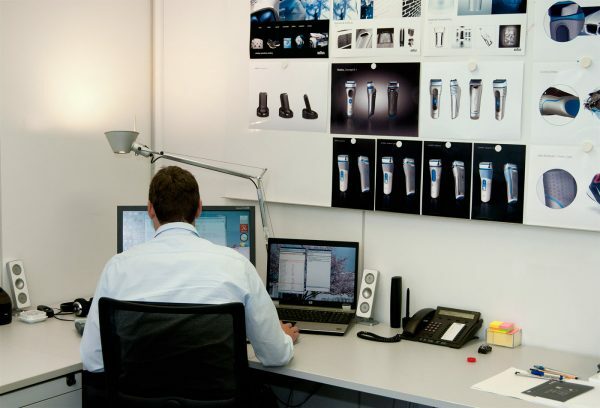 The cutting system is the most important part of the razor, and Braun are well aware of that. Hence everything from foil to the blades themselves are made through a process which gives them a precision up to 500nm, about the size of half a hair. What is even more impressive is that a simple element like the foil is about 58 micrometer thin! This ensures that the blade underneath gets as close as possible to your skin, and yet provides a physical shield so you do not hurt yourself. 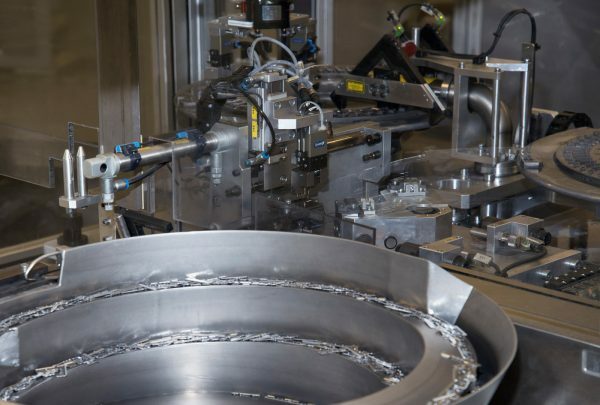 Each single blade goes through a multitude of processes, and after each process, different levels of checks are applied to make sure that the process has been successful. A simple failure, such as a measurement being out of tolerance, and that bit of metal goes no further. 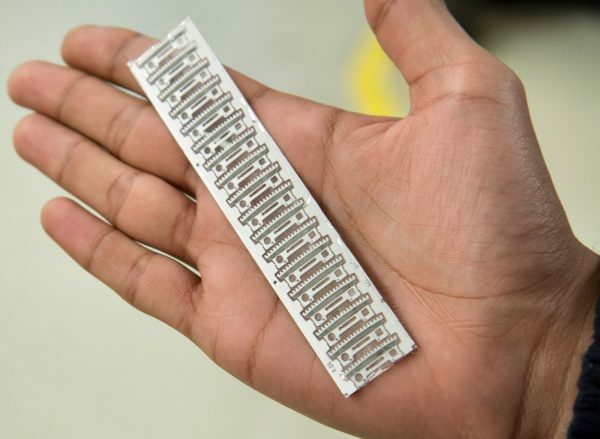 Once completed, the blades themselves are finally tested by going through 40 hair each. Another interesting element that we saw over and over again at the plant was the use of modular approach to their production. 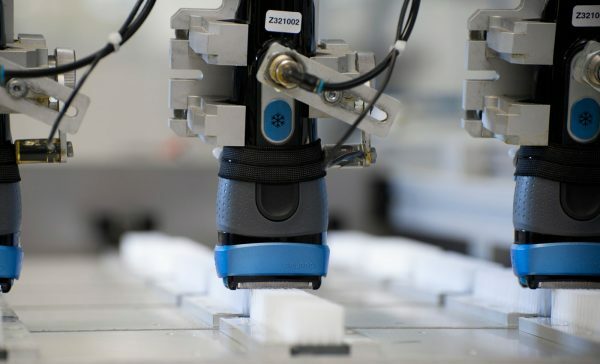 Most products will share common elements, and not only does this ensure that mass production gives customer better values, it also means that those parts can be tested and researched a lot more thoroughly. So the long hair trimmer on your shaver may be the same as the ones on a different model. Engineering these days is all about modular approach, and it is good to see Braun leading the way. I will never look at a Braun shaver in the same light again! Next up we were given an insight into how R&D really works at Braun. To illustrate, they gave us an example of how the Braun CoolTec came about. While I will definitely not do it any justice in my description, I would like to emphasize that having spent all my working life in an R&D environment, I can only tell you how impressive and focussed the whole process. Also, a revolutionary product like the CoolTec didn’t just happen in a matter of few months, or a couple of years. It took six years in development, and you can feel how all the people on the design team are really proud! It all begin with you really. No, really. It did. Well, maybe not if you have never shaved, but if you have ever had any kind of a blade put on any part of your skin, you’ll appreciate the fact that the skin that has been shaved is never a happy bunny. In fact, we have a saying in Pakistan, which roughly translates to teenagers looking like badly peeled potatoes once they start shaving. This isn’t far from the truth, and many men, myself including, resort to having beards just because the process of shaving leaves our skins irritated. Yes, you can apply balms, moisturisers, and give your skin as much loving as possible before and after, but the fact remains that you only hide the problem, never fix it. How does the cooling of skin actually achieve more comfort? How to incorporate that method of cooling into a shaver? How to package that into a shaver that isn’t too big to hold? How to make sure that it doesn’t weigh too much either? How to provide power for the cooling process? 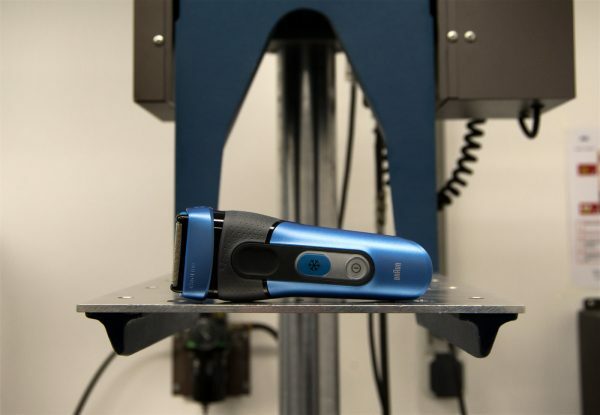 How to make sure that despite all this extra work, the shaver still provides a great shave? How to put it all together in one good looking design, which works best for the customer? Using various images, they showed us why exactly our skin reacts badly when it is shaved. The blades on our skin affect it in different ways, and these cause the skin cells to get agitated, and the vessels underneath get swollen. These are the red patches you may see on your skin after a shave. This also causes a burning sensation, and this is exactly why having a cooling effect will help you. Cooling your skin as you shave will numb your nerves, hence preventing the skin from feeling agitated, and prevents the vessels from swelling up. The second question was perhaps the most challenging. The engineers and designers at Braun tried many things, like frozen gel packs, using liquids that evaporate quickly to give you a sudden drop in temperatures. They also tried different powders on the market like the sort you get for prickly heat. These were discovered to just give you a sensation, but no actual cooling. The frozen gel packs were too much hassle, while packaging a liquid spray into a shaver is also too much work, and requires refills. 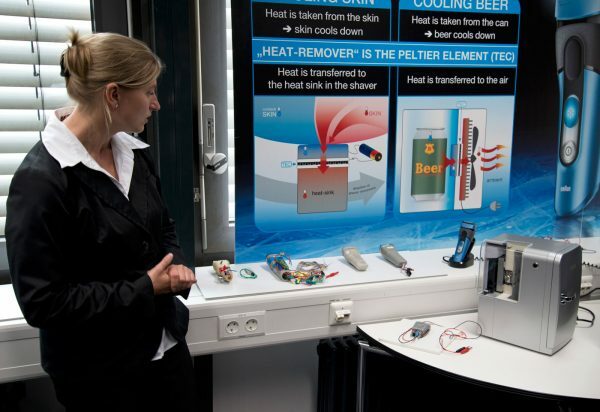 Then they came across peltier cooling elements, and hence the best method of cooling was found. 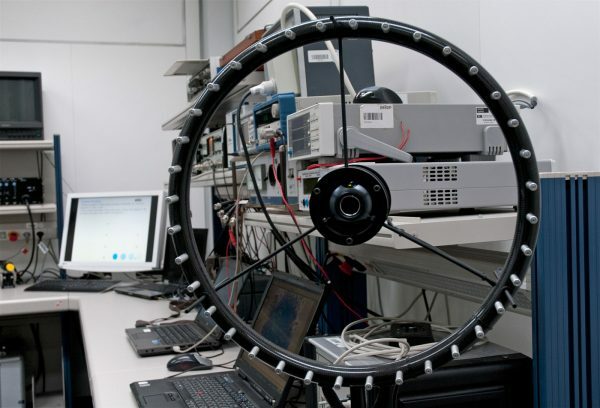 This is a system that is already in use in satellites and space crafts. 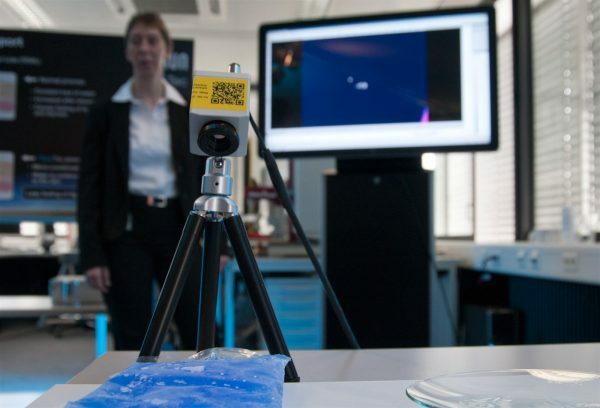 Thermal imaging was used to find out what solution worked best, and we were given a brilliant demonstration of the mentioned methods. Once this was achieved, there were hours, days, and months worth of work in fitting the element into the well known shape of electric shaver we are already well acquainted with, and like using. The best part of the cooling effect is that it actually encourages condensation on the cooling strip. This means that while normal methods of shaving end up drying and burning you skin, this actually gives you the sensation of moisturizing your skin. Consumer research suggested that this was quite an enhancement to the general shaving experience, hence Braun worked towards making sure this was also part of the end product. Consumer trials make sure that each product has been tested on 100s of people. Depending on the product, the demographic will focus on a general or a specific group. Yes, you can engineer a brilliant set of parts and make them work, but what about the end user? If you are selling consumer products, like Braun, then the customer is always right. Braun take this statement very seriously, and to make sure that they design exactly what the customer wants, they have their own Consumer Product Research Centre. What happens there? They get a lot of people in, every day, for every single product, and they give them shavers. Then they watch them shave, and get feedback from them. However, as dull as this sounds, they observe people shaving in the coolest way possible. They have those clever mirrors you see in spy movies, the ones where you see a mirror on one side, while a see through glass in the other. It is one of those things that are a lot cooler when you are physically there! Here we had one of the people on our team trying the shaver out while I ‘observed’ from the other side of the mirror. Later on, I had a go at the the shaver itself, and was very impressed with the results. 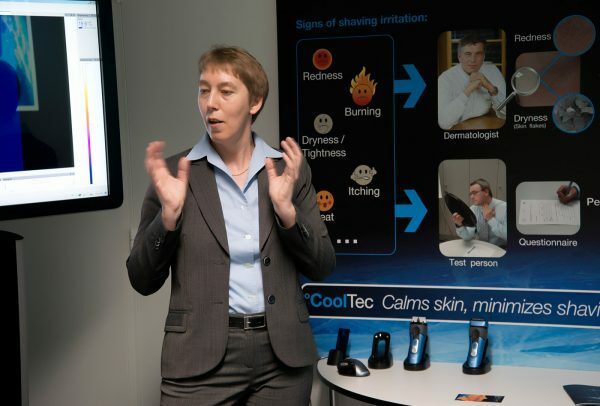 While you will read the details in my full review of the CoolTec soon, the thing I was most impressed with was how the cooling effects of the shaver also made my skin feel more moisturised. It sounds impossible, and ridiculous even, but my skin felt softer and smoother after I had shaved. With no balm or moisturiser applied! So you have the technology sorted out, and you understand the physics behind it. You have even managed to design it so that it all fits in a box of reasonable size. The job is not done. Every Braun product has to fit into the ‘Braun Design Language’, and the CoolTec was no exception. The designing side of things is a two way process, where the guys who physically design everything have to constantly to and fro between themselves and the actual engineers who designed the product. It has to fit, it has to look a certain way, and it has to weight a certain amount. All this has to happen without it loosing any of its functionality. As the picture above shows, it was no easy job to get where the design is today. The five step process of inspire, create, develop, define and refine has to go through a few cycles before the product gets anywhere close to looking like what hits the market. As can be seen by the various design stage prototypes above, the CoolTec had to go through a few stages. 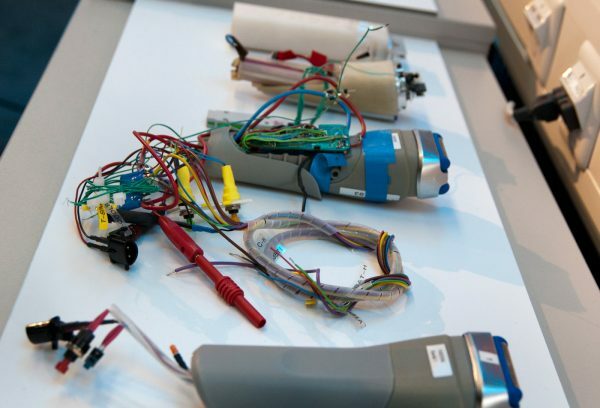 Everything from foam models, to actual running prototypes were tried, tested and refined. The engineers developed the product into a better fit in parallel with the design team, as every change on either ends affects both. As a result of all this hard work, the CoolTec design has already won some of the most prestigious design awards, including the RedDot design award and the Australian International Design Award. One of the lesser thought about design elements to a shaver (and other items Braun produce, like electric toothbrushes) is the sound design. Yeah, every Braun product you see on the store has its sound tuned to give you the best possible reaction as well as feedback. Braun shavers are famous for their ‘brazzel’ noise, and that noise is no accident. We were led into a ‘sound proof room’, which is basically an anechoic chamber tuned to hearing frequencies. Our guide proudly mentioned how this was the quietest place in all of Kronberg, followed by how it was so quiet that you could actually hear your own blood pumping through your ears. An interesting thought, as you suddenly notice at that very moment that yes, there is that sound you can hear in there. 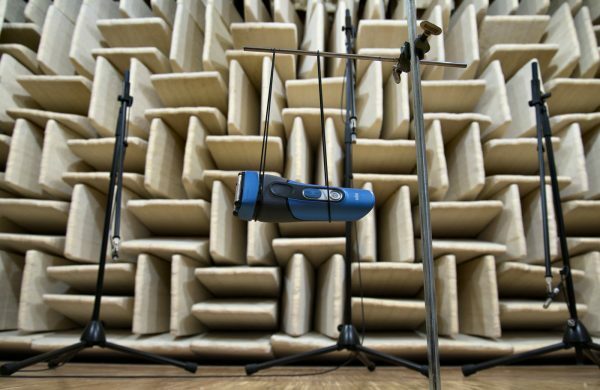 The purpose of the room is to drown out all sounds while you hear how a shaver (or other product) sounds through an array of microphones. The circular element there is a special ‘3D’ sound imaging camera, which actually maps out the intensity of sound on an image. Extremely exciting and cool stuff if you are so inclined. Using this, you can pinpoint any offending sounds, and know exactly what is causing them. Your toothbrush buzzing like a bee? Just wave it in front of this and you find it is actually the attachment being slightly loose! The CoolTec obviously had to go through a rigorous sound design phase as well, so that not only does it sound pleasant, but as it goes over your skin, the sound gives you an audible feedback of how well the shaver is performing, or how hard it has to work. Once all the results are in, the waveforms are plotted by a spectrometer, and different sound filters, much like those found in equalizers are applied to see what sounds best. 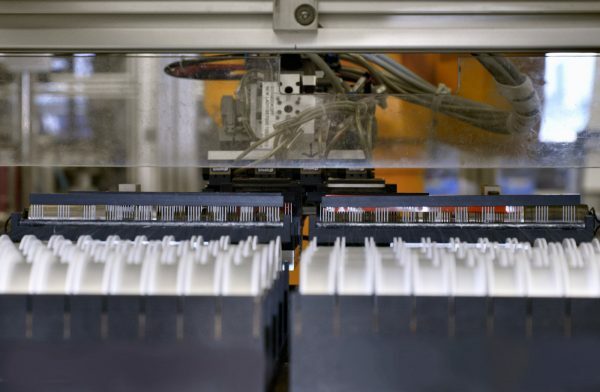 Each Braun product has to go through 60 quality management tests. A great product is no good if it doesn’t last very long, or is found to be unreliable. Living up to its name, Braun employs an extremely well planned and harsh set of tests to make sure that every aspect of each product is tested to the highest level. Products like CoolTec have to go through various tests such as drop tests, operation at different temperatures, long time running tests, water tightness and resistance to chemicals. Then there is the most important test of them all, the ability to cut hair. To test this Braun have developed a special kind of leather which emulates skin, and using nylon threads as hair, they test each CoolTec produced. The above are just some of the 60 quality management tests each product at Braun has to pass through. What can I say, I will never see a shaver in the same light again. Research, development, high precision engineering, testing, design, and quality management. A lot goes into that shaver you use everyday, and Braun make sure that not only are their products innovative and cutting edge (pun intended! ), their quality control is second to none. Next story Gadget Show Live compile the list of best gadgets over the last 100 years!